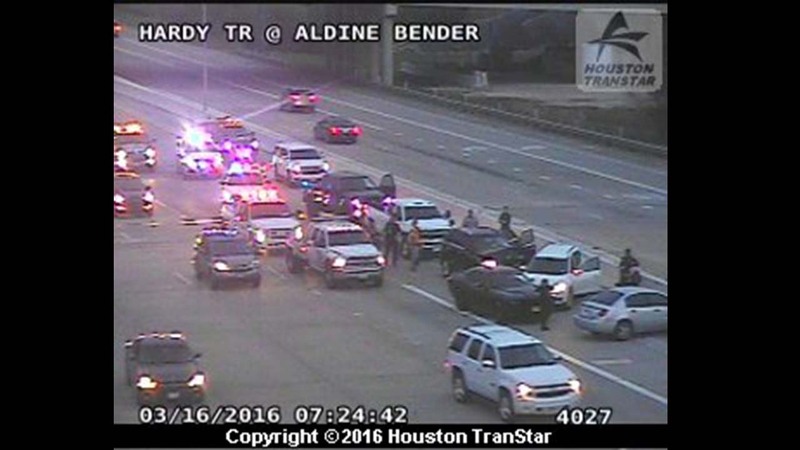 HOUSTON (KTRK) -- A major accident involving at least seven vehicles has traffic backed up on the Hardy Toll Road inbound at Aldine Bender. At least seven cars are involved in this accident. There is no word on injuries or the condition of the drivers involved. Use I-45 as an alternate. Traffic should be much lighter because of the spring break holiday.